One of my favorite activities to do with my kids? Dreaming. At the ages of 3, 6, and 8, they are specialists in the fantastic, over-the-top story kind of ideas. They also know how to love the simplest activities into wonderment. 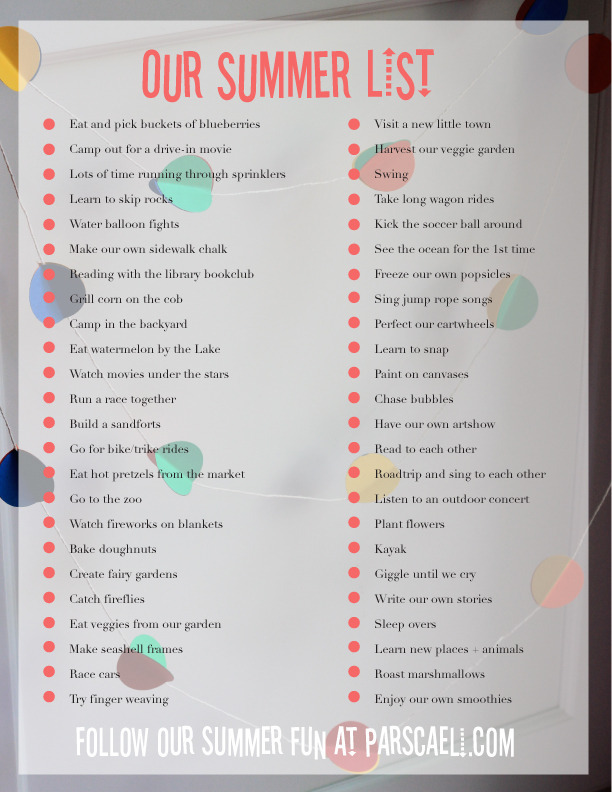 This time of year, as school winds down, and the sun stays out longer, we begin making up our summer hit list - all of the fun we want to experience together while we have some time away from the usual routine. I love hearing the activities that make the list every year (bubbles, fireworks, the beach), and I feel that momma twinge that these beauties are growing too fast when I hear about the bigger wishes of seeing the ocean and renting a kayak. I'm sharing our list again this year, as well as last year's list, in the case that they might inspire some summertime unexpected experiences for you and yours. 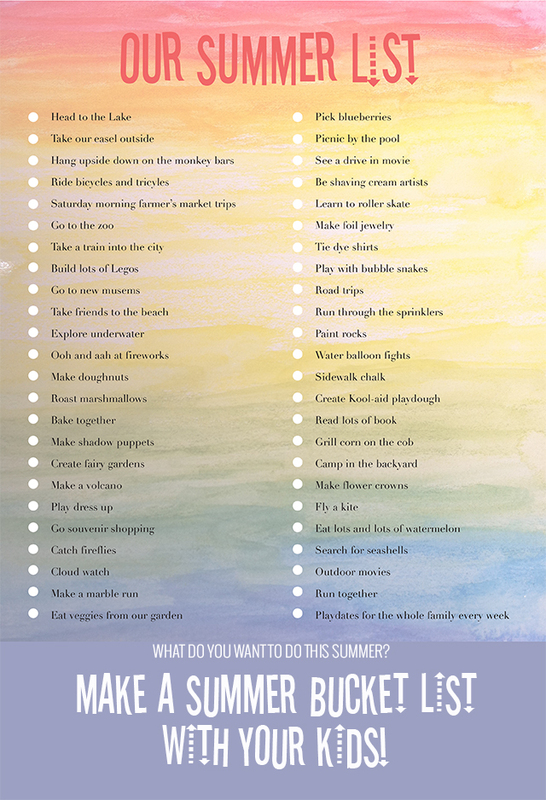 Also, check back to this post that has oodles of other amazing summer ideas for you to soak in. Do you have some ideas you're adding to the list? Share them with us!! P.S. Check out my friend, Amy Allen Clark over at MomAdvice.com and her 100 Days of Summer series. I love having all of her go-to projects ready for those days when I need something to break up the "Mommy, I'm bored" incantations.